Catherine Russell grew up ‘off the beaten path’ in Puyallup, Washington just south of Tacoma. Growing up, she had the beautiful northwestern forests as the fantasy world in which to develop her imagination and stories. Russell’s debut novel, The Stage overwhelmed me, to say the least! 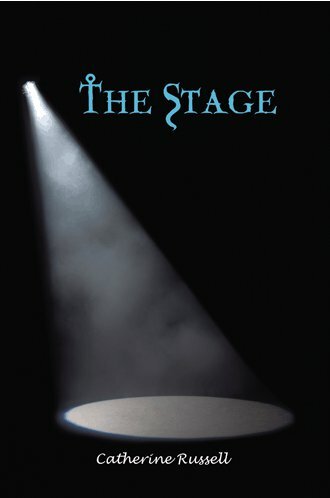 Stage is the first in a series of four novels. She has only just completed the fourth and I’m anxious to get my mitts on it! From the back cover: “Since a young age, Megan O’Day has always tried to limit her attachments to people. With no memories of her father and a mother taken away by cancer, Megan has always lived her life on the edges of society—far away from relationships. But Megan is about to stumble into a new world full of dangerous complications. When her friend Ashleigh opens a new bar, the unsociable Megan is suddenly forced out of her proverbial shell to attend the grand opening. As the band takes center stage, Megan is mesmerized by the lead singer who not only croons the crowd, but also stirs something deep inside her that has been long dormant. But she is about to discover that Geoffrey Drake is not just any ordinary underground musician—he is a vampire. As memories suddenly come back to her, the missing pieces of her life become complete when she realizes Geoffrey has always been her unseen protector. Russell has a lovely style of story-telling. The word flow is so conversational and easy to read I almost feel she’s sitting right here in my lounge telling the story to me herself, rather than reading it on my screen. The characters are strong and bold and her story has just enough foreshadowing to grip the reader. The pace of the story and character development is not rushed and the story progresses in a lovely way. Meghan is a clumsy, self-effacing wallflower. When she starts a new job in a nightclub, she meets Geoffrey and begins to fall for him. The tall, handsome Geoffrey, who looks to be chiseled from pure marble, has deadly secrets, but she isn’t frightened of him. She grew up in a hard way. Russell’s modern twist on an ancient tale left me breathless with anticipation. If you love vampires, The Stage is your book. It’s fantastic, intriguing, and has just enough spice thrown in to keep the bosoms heaving. The is just the very thing for every reader of vampires and romance. I promise you’ll finish this book begging for more; I know I sure did! The single fly in an otherwise delightful ointment was the rough editing. That being said, it does not detract from the enjoyment of the story. I am happy to hear, from Russell herself, that this issue has been addressed in the sequels. This wonderful yarn gets five golden stars from me, despite the rough editing! Be sure to visit Catherine at her homepage or her Facebook page. You can find and read this jewel from her publisher, iUniverse and Barnes & Noble. 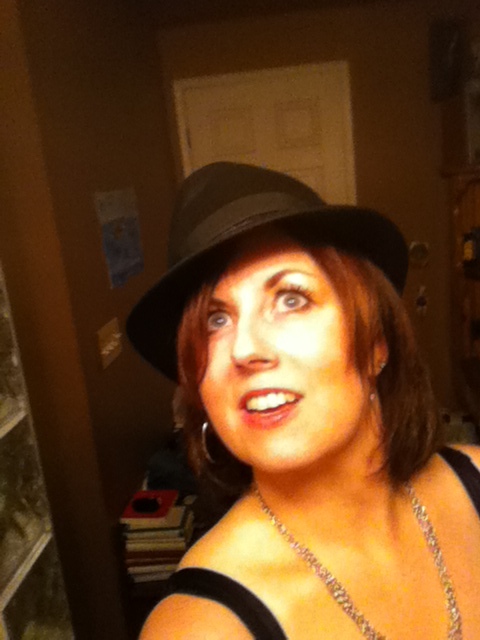 This entry was posted in Author Interviews and tagged author, book, Interview, writing. Bookmark the permalink. Thanks for the link, Cathy!